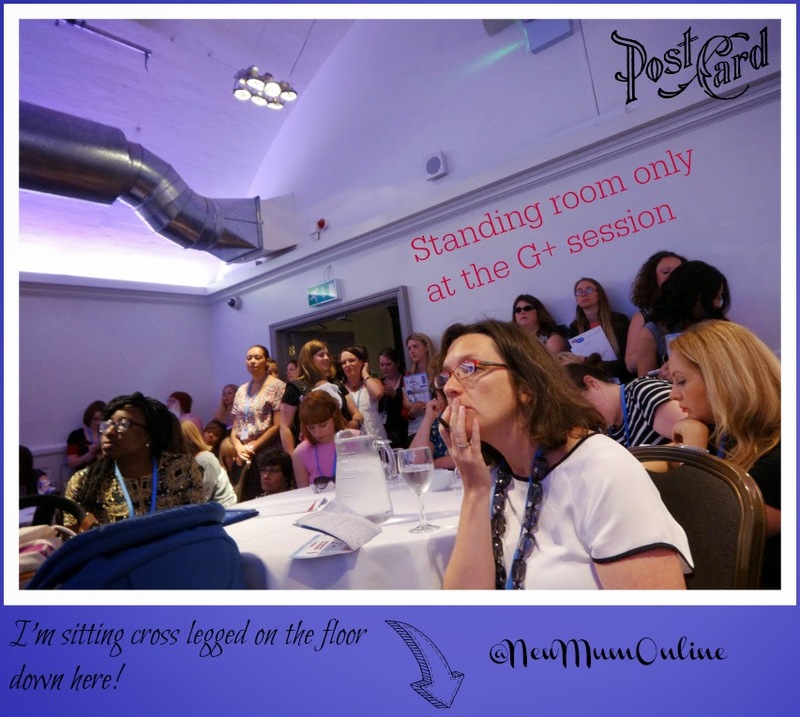 I know my loyal readers are expecting a post-Britmums Live blog post with all of the notes from the conference, but it just wasn't this kind of event for me this year, and I've been digesting it ever since, hence the tardiness of this post. To simply show you the photos and tell you what I learned, wouldn't do justice to the celestial stuff that was taking place for me, so today I recorded this, rather spontaneously, without notes, and published without edit. 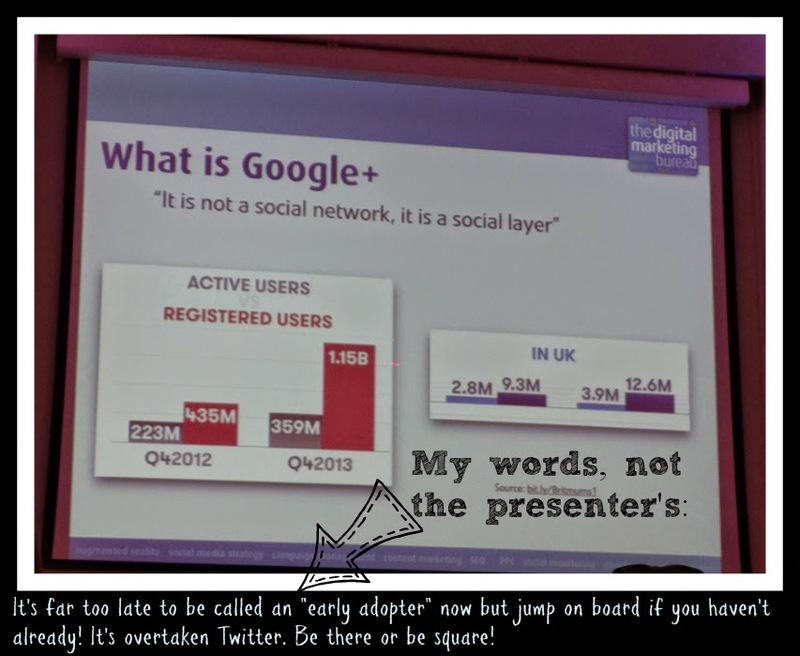 Sorry I did not realise I spoke for quite so long, until +Wendy McDonald pointed it out to me LOL. The event began for me, in the morning with a trip to the hairdressers, so that I could leave my long fringe at home. 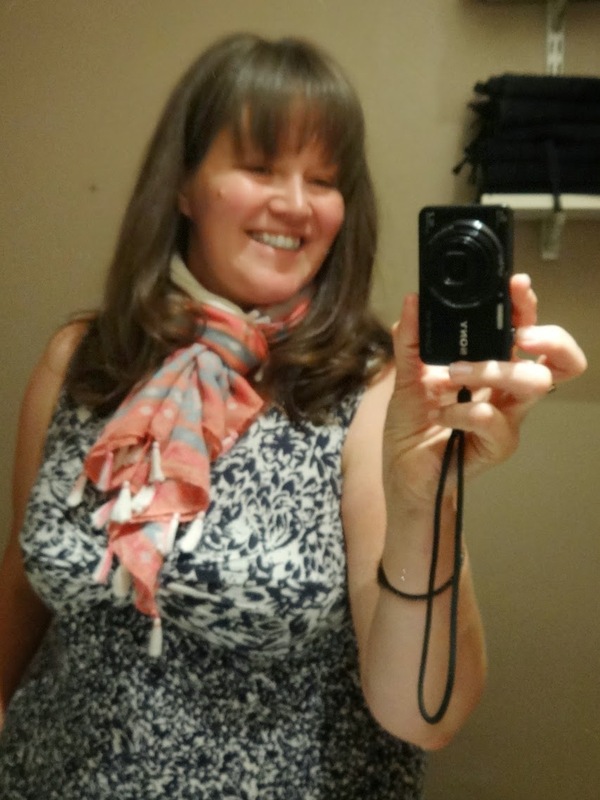 I took my muffin top to the conference, unplanned, so I certainly wasn't going to bring my untidy, not cut in 6 months hair! So impressed was I with my hair, I stayed for a pedicure, in this amazing spa room (below) that they have outback. It meant I left there later than planned and arrived at the event flustered, but I am starting to realise I do these things to myself on purpose - I don't know am I an adrenaline junky or what? 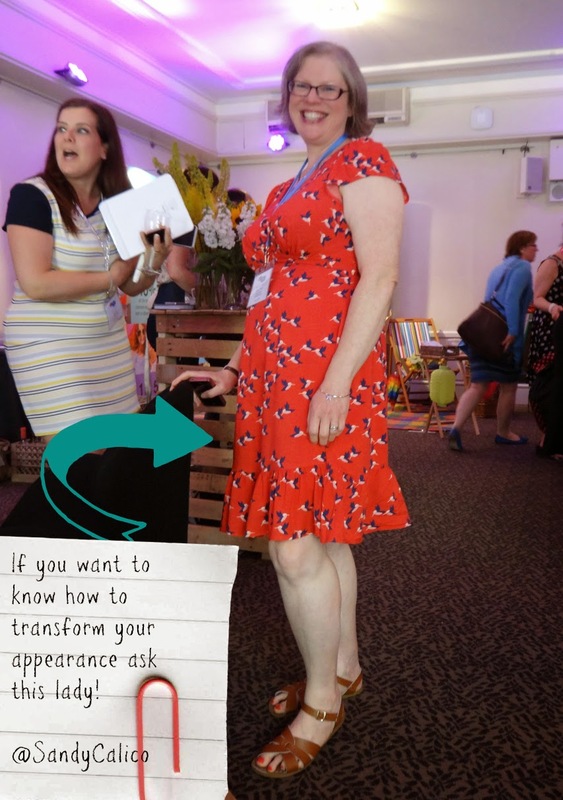 I was a Butterfly at the conference, which means I stood at the top of the stairs and with 7 other butterflies greeted and welcomed everyone on arrival, except my friend Jenny who made a fashionably late entrance and thus made me panic that she wasn't coming at all. I do owe a handful of people an apology though, as I had to ask them to move into the hub, as they were engrossed in conversation upon arrival and thus blocking the staircase. Sorry Katie, sorry Lucy - it's the Health and Safety person in me (my old work side came out). The security guard smiled at me, as he was struggling with the crowds and a few ladies who would not move as they did not have a name badge, and were waiting for ones to be made. I had even more butterflies whilst I stood on that balcony than I did the night before, and the morning of. I have been going to the Brewery for 4 years, the first year being Cybermummy, and now 3 x BritMums Lives. I have never had butterflies before, yet call me one, recruit me as one, and then I get them. Yikes. They didn't go away either, and as people could see I wasn't myself, I seemed to repel some people like Marmite. I kept myself to myself for a lot of it, and thank God for Nadine, Jenny, Claire, Mum in a Hurry, Michelle, Fi and Helen. Below you see Sarah from Hello Wall, who was one of the great Butterflies present. Whilst meeting and greeting and mingling I bumped into @PinkOddy and her blue suede shoes these beauties that she'd donned for the BIBS. Sssshhhh Primark, ssssh! I did ask her to crouch down, so that you'd get the outfit and shoes together in the shot (there wasn't room for me to do a distant shot) but she politely refused...... I have a pic like that of someone from the MADS from years ago, but ah well, she was just being modest. If you saw her in all her glory she was in a stunning white dress AND white shoes. We were all a bit more casual on day 2 though. the reason I say *sigh* is because reading it made me cry (and that was Sunday evening when the comments, despite there being 100s, were ALL positive), as it brought back all my feelings that resulted from the Mumsnet Blogfest feminist panel - it clearly did for Helen too as she opened the post by saying she has needed to write this post for months. I've commented lots on the post. If you head off to read it, make sure you do when you have time on your hands, as there's a lot of comments to read, in addition to the post. What I did not get, was that I can feel energy, and I could feel that the 4 ladies on the left were going to embark on the session without Helen, and then her opinion would almost be an afterthought. 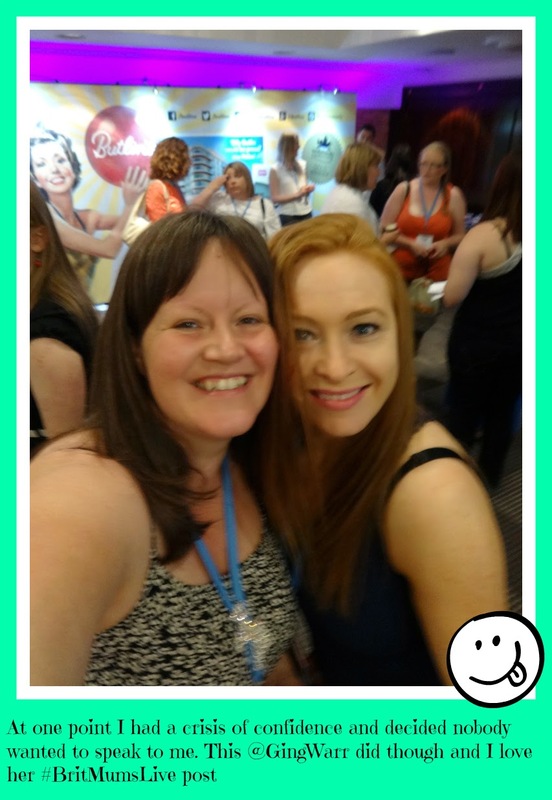 I knew that to be the case before they even started speaking, and that did happen, which is why she felt the need to commence what she said, by stating her Executive career status in a blue chip company prior to being a Mummy Blogger and Mum, i.e. she was made to feel that she was starting on a backfoot. I think at the time she took it that she was the only tiara wearing person, and chose to get in the game by stating her LinkedIn career statistics, but I have seen women of different backgrounds GEL before, so I wonder was it a simple case that they were in the room sitting at that couch for longer, bonding, and Helen hopped up there just before the session began? I don't know, but there was certainly a gulf. I have recorded the session, but it is taking 4 hours to upload. Hopefully watching it back will shed some light on it. But like the musical we were delighted with at the end of the conference says, we are all Good Enough, and Helen you were good enough to be on that panel, as your post and the reception it's had in the comments proves! I have heard Stella (2nd from the left, in the thumbnail photo below) MP for Walthamstow, London speak on 3 occasions now and she's always captivating so I am not sure why she looks asleep in that photo but c'est la vie it's the only one I have so I am using it! Helen from Actually Mummy is wearing her tiara, as she stated in her blog post. The reason for this, is that after Susanna and Jen's opening and prior to this session we had an opening Keynote speech from Emma Freud, and it is standard practice that whenever she has an audience, they don tiaras, and we did, as did she! I digress but something has just dawned on me. I couldn't write this post, as the spiritual effects of the conference were still *effecting* me, but it seems once I recorded that Vlog today (the one at the top of this post) I am able to write a normal post about clothes, sessions, agendas and *stuff*. It reminds me of a point that was made in that women and the media session. THEY said it's disgusting how a woman will go somewhere and instead of the papers/media discussing the cause or the story, they'll just discuss what she wore. Helen made a point that it is fine as long as it is in addition to the story, and it's kind of made me aware that this is the very thing I am doing in this post. I am giving you a bit of eye candy by showing you pics of us all in our glad rags, but I have done it in addition to my story, which is that I had an incredibly moving and transformational experience whilst there and in many hours after. I hope that transition stays with me. I wore a lot of turquoise in the run up to the event, so I already knew a big change was coming - I just did not know what. I hope I continue to hold the space, and harness it. Maybe I am a butterfly, but one that's come out of a chrysalis, rather than one who did a good job of being one at the event. I can already feel myself "coming down to earth" and it makes me sad, so I think it's time for the yoga to begin in earnest, which reminds me, I bumped into Zaz (or more like she made a concerted effort to visit the Butterfly stand to see me). I was so impressed that she has NOT gone back to the 9-5 grind and is just about to train as a yoga teacher. In readiness of that she already has a new instagram account with STUNNING pics and already has a lot of followers on it. Go you! You know what, I am going to finish this post tomorrow. It's after midnight and I fancy a sit down on the sofa to watch some soaps, and then bed. I will hit publish though, as doing blog posts like a beta test, where you get to see me build them has often been my style. I promise that unlike the How to Be a Success on YouTube post, I WILL finish this one (I only didn't finish that one as the hubby threw away the newspaper). Due to the transformation that took place in me, I have decided to link this up with All About You Tuesday link up party. Seeing as my T'You'sDay (The You Is Day) Tuesday linky died a death, and this one is so similar *coughs* I may as well finally join in. Someone send me the recipe pretty please. I can't even find it on their own website. 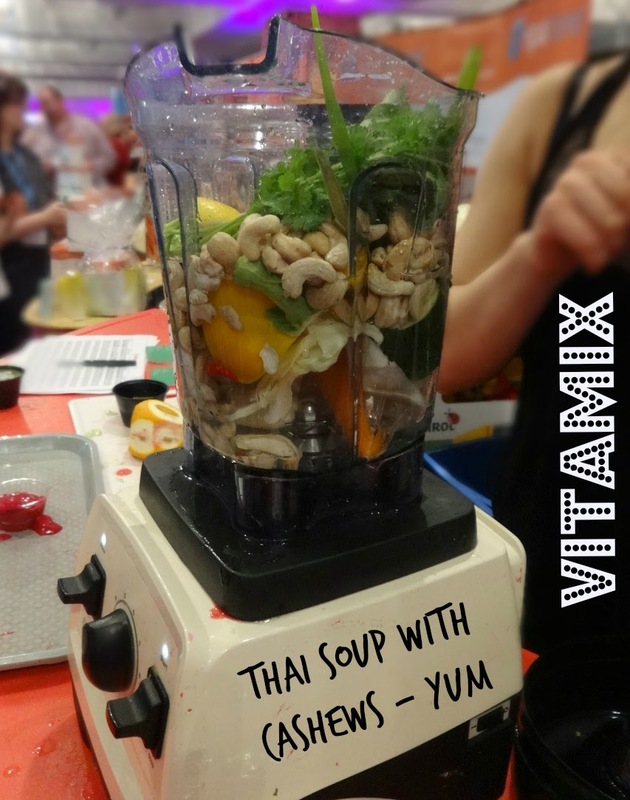 Place water, carrot, celery, bell pepper, onion, cabbage, apple, garlic, chili pepper, honey, ginger, coriander, cashews, lemon and vegetable stock cubes into the Vitamix container in the order listed and secure lid. Blend for 5 to 6 minutes or until steam escapes through the lid plug. Reduce speed to Variable 2. Remove lid plug. Add 1/4 courgette (zucchini) through the lid plug opening. Blend an additional 5 seconds. This will add some texture to the soup. 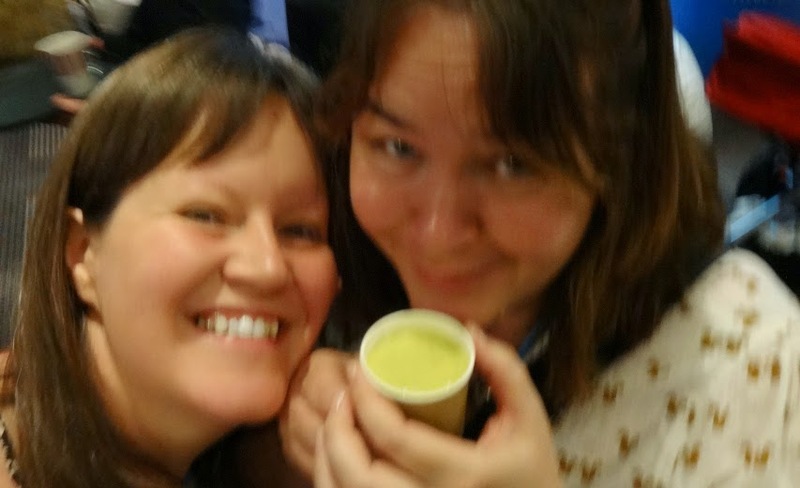 It was at the Vitamix stand that I met Ginger Warrior (with me in the photo below). Her post and video about the conference is awesome: Weekend Warriors. I say Vitamix is my favourite sponsor, but it could so easily be Butlins, if they'd only love me as much as I love them. From left, that is Claire, Jenny and me! Please remember the message we took from the conference! Hope to see you at the London musical in July. I will certainly be there! Ah Liska, I'm so glad for you and your video skills. I've just watched that back, and I hadn't realised quite how little I said. I'm pleased with what I did say though, and it's all there on the blog to see. I've really enjoyed the debate that smart women have had on the back of my post, and that's the kind of discussion that every woman ought to feel able to join in with, without fear of being made to feel bad about themselves. 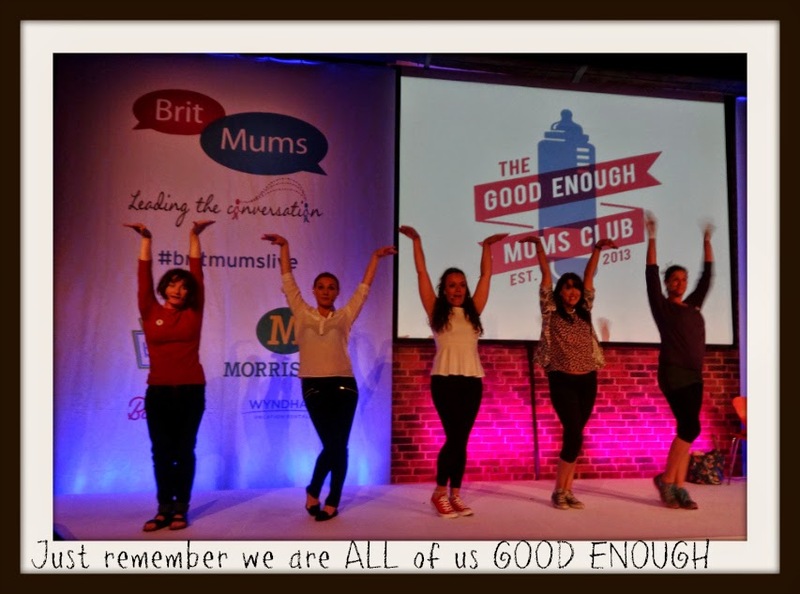 I have enjoyed reading all of the posts about the Brit Mums - it sounds like everyone really learned something from their experience. I found it interesting what you said about 'when you aren't feeling good about yourself, you take on more'. That is so true and it really resonated with me. I am glad you soon felt better though! Haven't watched your video yet - the joys of slow broadband, but was nice to see you again (love the new header by the way). 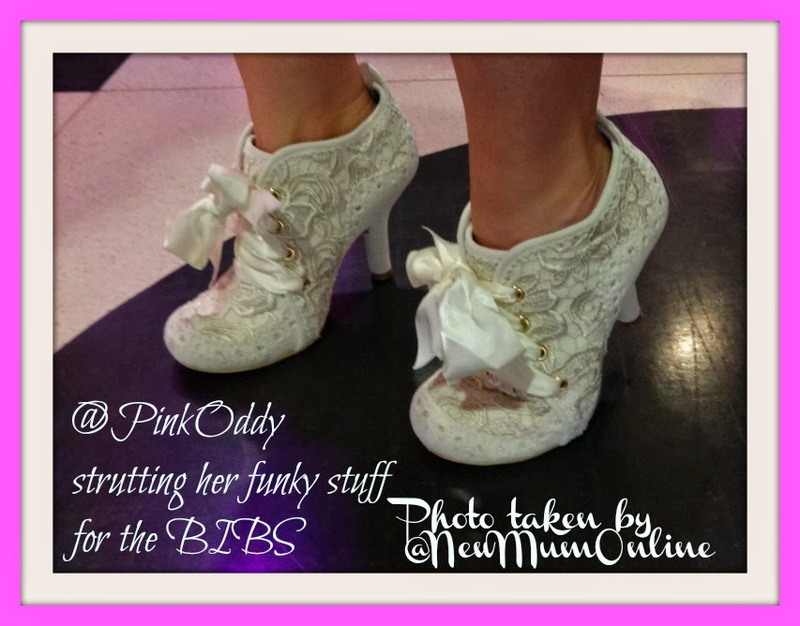 what an amazing and comprehensive post - thank you for featuring my shoes - £85 from Schuh if anyone is interested. Wow- I've read the post and watched all three videos. I can tell you are processing a lot of inner work at the moment, and I hope that writing and vlogging such a detailed post has helped you to make sense of things. 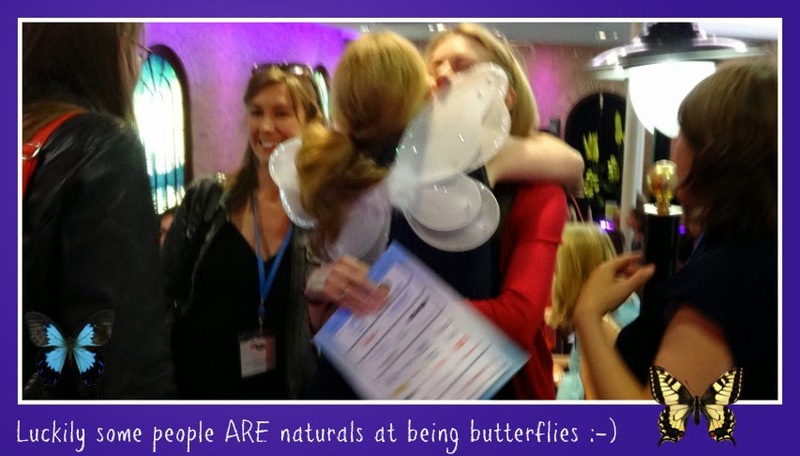 You were a butterfly at the event and in real life, a butterfly in training maybe? I say in training because those bits of your cocoon are still there. I can see them and hear them in your post, but once you've worked through it all you'll see that you are good enough. We all are. 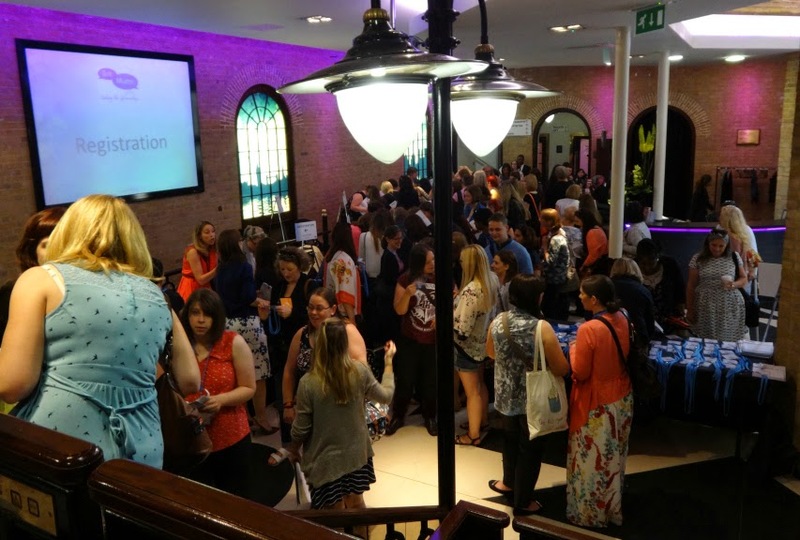 I saw the female energy at this event, but then I always do at an event with large numbers of like minded women. There is nothing stronger than a group of women- they will buoy you up every time. I hear some women talking about bitchiness and cliquiness (is that even a word?!) from other women but I have to say in my personal experience, I don't see it. I choose to surround myself with like minded, supportive, strong, beautiful women, and by beautiful I don't mean physical attributes. Beauty to me is being able to see someone's soul, their honesty, so I steer myself from fake and false and enjoy the beauty of real and warm. This is why I don't see the bitchiness if it is there. I believe that we are all trying to do our best. Sometimes we slip up and say and do things that are out of character and we need to be gentle with ourselves. As for your clothes on the day you arrived- you looked great hun. In both outfits..... and yes we did have the same cleavage! I hope you can embrace your lovely curved figure too because it carries you round all day. Like I said at the Butterflies stand, some people may not think I'm much to look at, but I have a lovely soft body- built for cuddles! I'll give you a big one next time I see you! 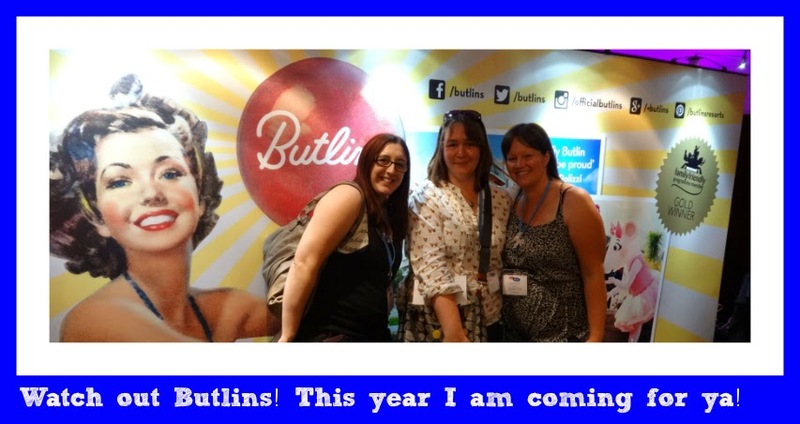 Thanks for sending your post to the BritMums Video Round-up, I'll use it in July!